Matthew 11:16-19 (Part of the General series). Preached by Pastor Joshua Smith on July 2, 2017 (Sunday Morning). Acts 17:10 - Romans 17:12 (Part of the General series). Preached by Pastor Joshua Smith on June 25, 2017 (Sunday Morning). 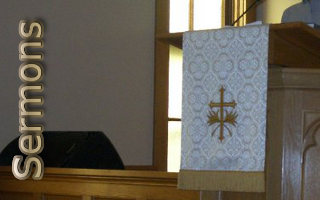 Preached by Pastor Jon Truax on June 18, 2017 (Sunday Morning). Psalm 136:1-26 (Part of the General series). Preached by Pastor Jon Truax on May 28, 2017 (Sunday Morning). Genesis 1:26-27 (Part of the General series). Preached by Pastor Jon Truax on February 5, 2017 (Sunday Morning). Acts 1:1-11 (Part of the General series). Preached by Pastor Jon Truax on November 20, 2016 (Sunday Morning).